The Frontier Fields project is an ambitious, multi-year cosmology research project using Hubble and many other telescopes. Describing the astronomy motivation, science concepts, planning, coordination, and execution is a long and daunting task. The Principal Investigator, Jennifer Lotz, recently gave a public-level presentation that was an hour long, with much of her discussion necessarily condensed. Now, folks don’t always have that kind of time to spend learning about a new project. What about the short version: the so-called elevator pitch? To address that need, we created a two-minute video overview of the Frontier Fields. We trimmed the astronomical story to its essentials, gathered and developed scientific visuals, and attempted to express it it all in just nine sentences. The video below was part of our press release at the American Astronomical Society winter meeting in January 2014. It won’t make you a cosmology expert, but it will provide the essential character of one of the most important projects amongst Hubble’s current programs. I directed (and narrated) this video, and would welcome any comments or questions. As for all those scientific details that we glossed over or skipped, well, that’s one of the main motivations of this blog. Stay tuned. 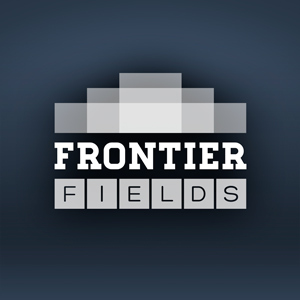 This video presents an overview of the Frontier Fields project. While Hubble has a celebrated history of deep field observations, astronomers can use massive galaxy clusters as gravitational lenses to see a little farther into space and a little further back in time. This ambitious, community-developed project is a collaboration among NASA’s Great Observatories to probe the earliest stages of galaxy development. Initial data from this multiyear effort was presented at the American Astronomical Society Meeting in January 2014.